AP 0942: How Do I Grow My Email List without Over-Promoting?  AP 0943: Are Virtual Summits Still Viable? Pat Flynn: Hey, what’s up everybody? Pat Flynn here, and welcome to Episode 942 of AskPat. Thank you so much for joining me today. As always, I’m here to help you by answering your online business questions five days a week. We have a great question coming in today from Will, but before we get to that I do want to thank today’s sponsor, which is FreshBooks, an awesome company that can do a number of different things for you from invoicing to keeping track of all the income coming in, to helping you automatically track the expenses so you can keep track of what’s going on. And also just print out those forms, those profit and loss statements, those balance sheets, those things that help you understand the heartbeat of your business, the pulse, how it’s going, what you can do to improve or save, and all those kinds of things. I highly recommend checking out FreshBooks for managing your books. All you have to do is go to FreshBooks.com/askpat and just enter the code “Ask Pat” when it asks you “How did you hear about us?” There you go. FreshBooks.com/askpat. Now here’s today’s question from Will. Will: Hi Pat, my name is Will, and I run a personal development show on my YouTube channel and a podcast and blog as well. My question is quite simple. I went through the 100 subscriber challenge that you recently released. I already have over 1000 email subscribers, however, I still feel there’s a lot of improvement there, so I went through this challenge. What happened was I got a few people who were actually willing to, but someone who was a friend/acquaintance from college initially said he was interested and then when I asked for his email he just stopped responding and started ignoring me. I do feel really bad because I feel like I was overly-promotional, I did feel a little scared that this would happen when I followed your instructions, you and Brian Harris’s instructions for doing this. I thought it might be too invasive to ask for his email after I asked if he would be interested in my topic of personal development and earning more money. My question is, is there a better way of doing this? I still want to do this with a lot more of my Facebook friends, but I also don’t want to be so promotional or burn bridges with people that I used to be pretty friendly with in the past. Anyhow, I’d love to hear your thoughts. I already have a teeshirt so you can pass that off to someone else. Thanks again for everything, Pat. Pat Flynn: Hey, Will, thank you so much for the question, I appreciate it and thank you for taking the 100 Email Challenge. You all can find that at 100Emails.com. Now, what’s really cool about this is that you did it. You went out there and you asked. However, I can understand that in some cases you might feel afraid or be worried before you do this that when you’re asking your friends and family, essentially, through your Facebook group or your Facebook page or any followers that you might have already on existing social media platforms, that you might be a little intrusive, and a little bit aggressive. Now, obviously, there’s a line there. Now, just because someone goes silent on you doesn’t mean that they are upset at you or anything like that. Maybe it’s just a sign that maybe they’re not as interested as they thought. And that’s okay. I wouldn’t take it personally, Will, and truly if they were going to be a friend they would either be honest with you or let you know. At the same time, you are more than welcome to just reach out to this person again and say, “Hey, you know what, I totally understand. I don’t always give away my email address, too. Anyway, I’m going to be talking about this more if you ever change your mind. I’m going to be sending some cool stuff out via email. Just hit me up, let me know. Anyhow, how’s life?” You can just say things like that. Obviously, the way you frame this when you ask is also really important too. I think it’s really important just to be open, authentic, and honest with people about why you’re asking. A lot of times, maybe going into the ask for the email can happen pretty soon, especially if you are messaging directly through Facebook. A lot of people might assume, “Oh, well, we’re already talking, why do you need my email address? This must be for something more.” In the beginning it might be wise just to—if you’re not quite ready to ask for that email, and a lot of it’s going to be based on gut and how you feel about it, too, and the individuals that you are speaking with who had initially expressed interest—you might want to just keep it at the DM. It goes down in the DM, sometimes. Then maybe later on they might be willing to come over into the email list, especially if you have some freebie or some giveaway. Don’t be upset, don’t be afraid. I think it’s important for you that if this is something you really want to do and believe in, I mean, this is who you are now. Your friends from high school and college, you’re different, they’re different. Now, I’m not saying you should burn those bridges. But I’m also saying that this is who you are now and this is something you’re going to be talking about. And you totally have permission to ask if people are interested. Now, if you keep emailing people or keep messaging them over and over and over again, and it’s just way too much, then obviously that’s common sense. Nobody likes that. But asking once, or even twice, especially if somebody’s asked for interest, totally. Then if they don’t express interest anymore, you just move on and find the people who are. There you go, Will. I wouldn’t worry too much about it. Keep on doing what you’re doing and remember, a lot of people have gone through the 100 Email Challenge and have just gotten really obsessed with going in there and actually kindly asking their existing network, and have grown their email list to some over 500 doing that specific strategy without even an email service provider, which is crazy. I don’t know who has that many friends on Facebook that they can literally just reach out to and then actually have them be interested, but anyway, there’s a lot of opportunity there. So Will, thank you so much for the question, I appreciate it. I got the note that you are going to give away the teeshirt which is fine because you have one already, which is cool. For anybody out there who has any advice for Will, if you want to use #AskPat942, within a couple of weeks I’ll randomly select one of you who uses that hashtag on Twitter, I’ll reach out to you and we’ll send you the teeshirt that we were going to give to Will anyways. So #AskPat942 and what do you think? How would you best reach out to somebody—acquaintances, people who you know on your Facebook feed, for example, or your Facebook contacts, and ask for interest without being too aggressive? What are your thoughts? Where’s the line for you? So #AskPat942. Thanks again, Will, I appreciate it. I appreciate all your support, as always. For those of you listening, if you have a question that you would like potentially featured here on the show just like Will’s, all you have to do is go to AskPat.com and you can ask right there on that page. Thank you so much, I appreciate you. Here’s a quote to finish off the show by Pablo Casals: “Let us not forget that the greatest composers were also the greatest thieves. They stole from everyone and everywhere.” Hmm, that’s interesting. All right, guys, thanks so much, take care, and I’ll see you in the next episode of AskPat. Bye. Today’s question comes from Will: How can he grow his email list without being overly promotional? In this episode I mention my 100 Email Challenge, a free, three-day challenge to help you build an email list of 100 subscribers. Check it out at 100Emails.com. Today’s sponsor is FreshBooks. Go to FreshBooks.com/askpat and enter “Ask Pat” in the “How Did You Hear About Us?” section for more information.